I've noticed these in different areas of my live rock which started as dry rock about 3 years ago. They look spongy with flutes. I used the name you posted and did some more searches and it looks to be Clathrina clathrus (http://species-identification.org/species.php?species_group=sponges&amp;id=177). Should I be worried about them multiplying and taking resources from corals? The general consensus I've read is that sponges are good filter feeders to have in your tank. However, I have also seen a few articles suggesting that some sponges can grow large and compete with corals. Unfortunately I don't have any specific knowledge on this species, but it does look like you found a match, so you should be able to do some research on the specifics of Clathrina clathrus. 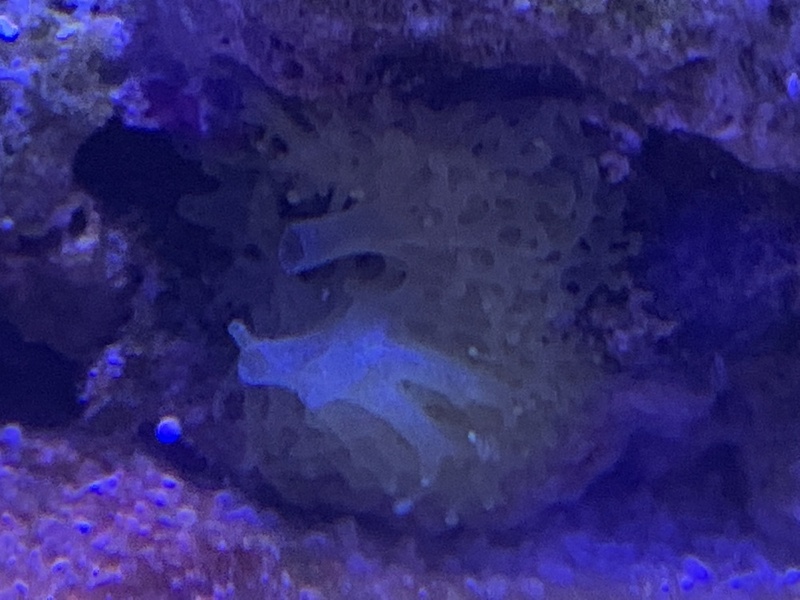 Every sponge that has popped up in my tank eventually disappeared. I would not worry unless it gets real big or you start to notice issues with your corals. Just let it clean your water and die off once it has done its job.